See videos of our shop on Facebook. There is so much more to look at. 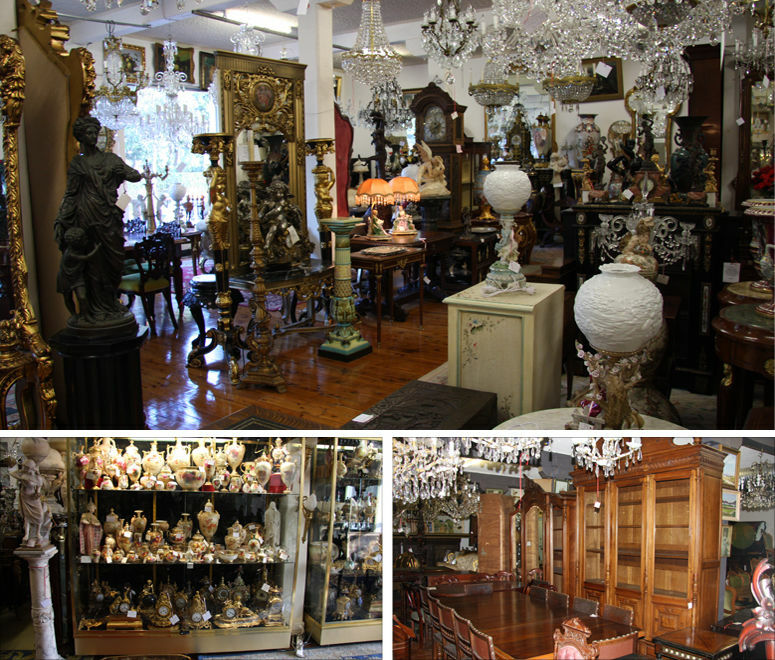 The largest stock of quality antiques in Sydney, regularly visited by overseas customers. We pack and ship all over the world. Austiques antiques furniture and decorative arts. Bronzes, Mirrors and Paintings, some of the finest in Sydney. Large selection of Royal Worcester, Meissen, Sevres, Dresden and Moore Bros. Antique French and English Furniture. Antique Carved Marble and Alabaster Statues. Also a large collection of Vintage Jukeboxes and Radios. Over 100 Chandeliers in Stock. We pack and ship Worldwide. Regular containers of Antiques sent to China.